If you would like a professional, varied and fulfilling career then youll find all these attributes and more if you work as a Legal Secretary. This Award is ideal if youre new to the legal world and need to learn the jargon, processes and documentation connected with legal aspects of various law sectors. 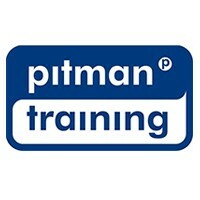 Furthermore, one of the core courses, Legal Text Processing, has been written by CILEx and endorsed by Pitman Training, meaning youve completed your studies, youre in the perfect position to go on and gain a renowned qualification from City & Guilds/CILEx, the Level 2 Award in Legal Text Processing. The Legal sector is an exciting and varied world. With many different focuses, such as Family Law, Criminal Law etc. gaining specialised and recognisable secretarial qualifications in this industry will set you head and shoulders above the rest. Our Legal Secretary Award brings you a fantastic opportunity to study the CILEx (Certified Institute of Legal Executives) Legal Text Processing Course. In addition to this course, youll also study Effective Communication and Microsoft Word. Giving you a complete skillset which can help get your Legal Secretary career underway. Carear Path If you're keen to keep your career moving, after studying your Legal Secretary courses you could choose to take a step further and look towards gaining reputable Paralegal qualifications.